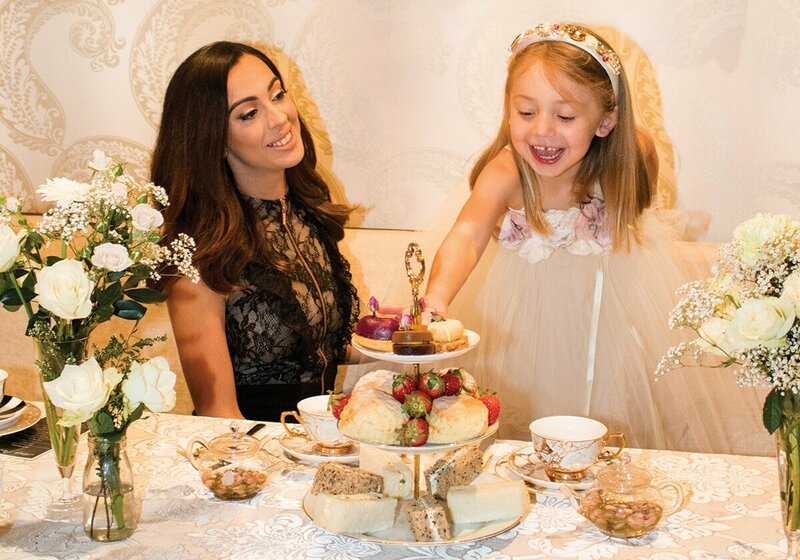 Drawing on the culinary and creative entrepreneurial skills of her English parents, Aimee Russell has created a decadent and delicious high tea parlour serving the most scrumptious scones laden with homemade jam and clotted cream. Profile pulls up a chair at Aimee Provence, to sample the traditional gourmet delights. Breaking open a warm date scone, my attention is stolen by the scene of a young girl seated outside settling into her own tiny tower of sweet treats. She looks up at me and smiles, holding a teddy bear under one arm, and takes a bite. The little girl, I soon find out, is Aimee Russell’s five-year-old daughter, Zara, who has inherited her mother’s love of the sweet life. 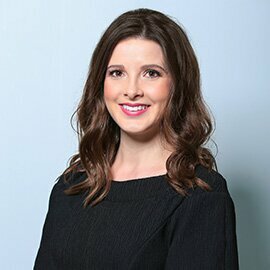 Raised in Sandridge, a small English town in Hertfordshire, north of London, with her parents and two younger brothers, Aimee recalls fond memories from her own childhood, growing up with a pet goat, chickens, ducks and rabbits. “My father used to milk the goat and make goat cheese, her name was Nanny Goat, and we used to walk her to school,” she says with a smile. Hailing from a long line of family bakers, Aimee’s memories are scented with the sweet smell of fresh tea, homemade cakes, jam and scones. Always fortunate to have freshly prepared food on the table, Aimee’s mother also ran her own catering business, opening Aimee’s eyes to the savvy world of small business, a skill she has now imparted to her daughter Zara. 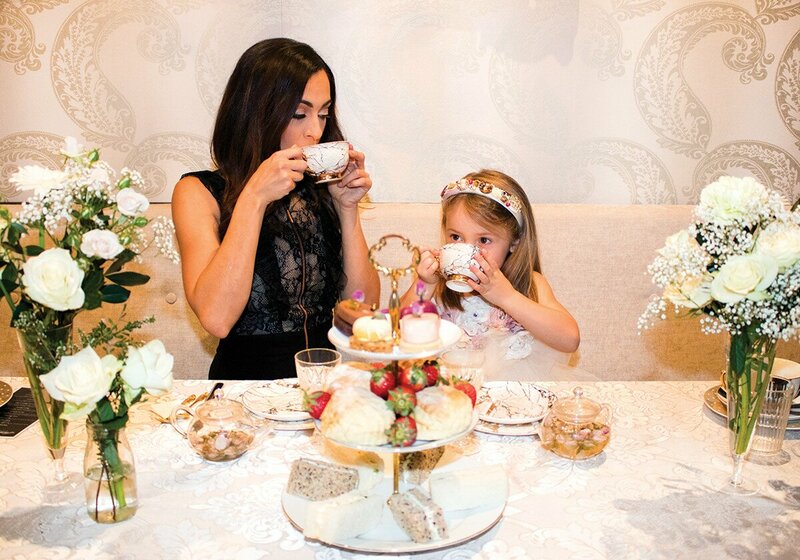 “Zara loves coming in here to the high tea parlour, and as a mum I feel so guilty because I’m working and I don’t get to spend any time with her, the poor little girl is here all the time, ‘Mummy I want a cake, mummy I want a scone with cream and jam,’ and she sits outside with all this cake and ice cream and scones – every Saturday she’s out there eating cake! Aimee’s father wore multiple creative hats, first as a furniture maker, wood sculpture artist and glass blower – some of which take pride of place in Aimee Provence in the form of white and gold angel wings on the wall and frosted glass vases adorning the tables. But her colourful childhood was marred by bullying in Aimee’s teenage years, prompting her mum to pull her out of school two years before graduation. Not one to let such an unsavoury experience determine her outcome, Aimee has flourished and proven perseverance and passion will prevail. Here I am now owning my own business, it just goes to show it doesn’t matter what happens in life, if you have the guts to go out there and do something, you can. It doesn’t matter if you’ve finished school or not,” she says boldly. Aimee’s first brush with business was when she was just 16, managing her father’s glass blowing shop in Camden Market. I learnt a lot through my father. Although I wasn’t your typical teenager, I was working really hard at a young age, and in a way, trying to make my father proud,” she says. At 21, Aimee met her husband Dan and the pair went travelling for years, arriving in Australia in 2009. First they lived in Melbourne, before relocating to Sydney where Aimee studied interior design and styling at Sydney Design School. They lived in New South Wales for eight years, where Aimee immersed herself in styling homes and weddings, a talent she fostered upon moving to the Sunshine Coast last year, with Dan and Zara. 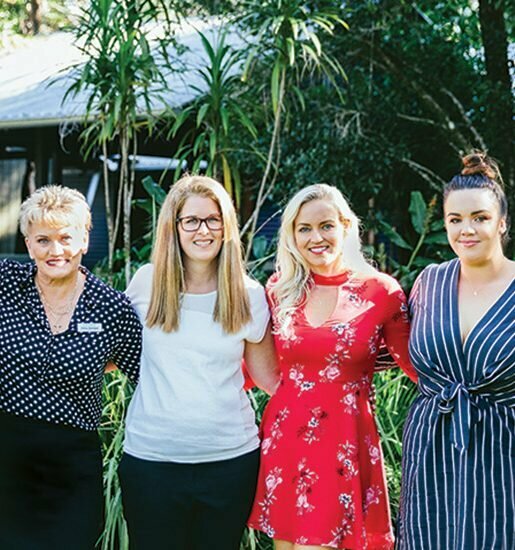 Shortly after settling into her new life, Aimee walked into a boutique homewares and tea parlour in Buderim, not knowing it would end up changing her life. 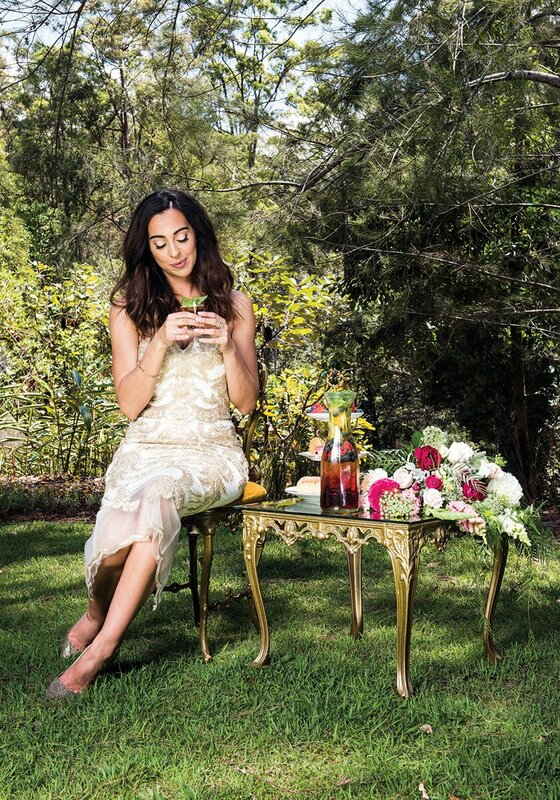 “I didn’t know it was for sale at the time, and when I was searching the internet looking for business ideas, I came across My Private Provence, which was up for sale,” she says. 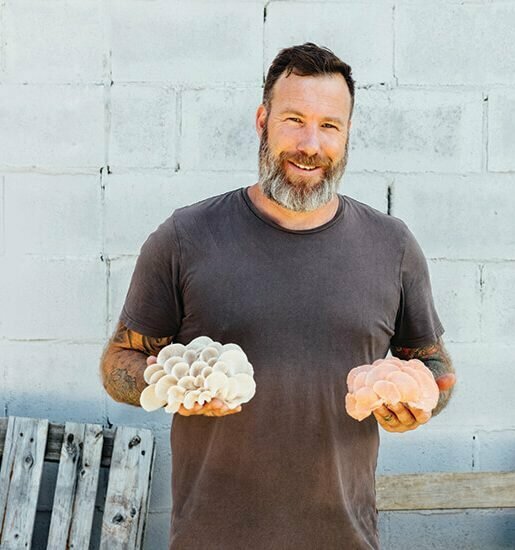 “Straight away I knew I could turn this place around, it was a massive risk taking on a failed business, but I went with my gut feeling and bought it anyway. The first port of call was to change the name of the business, after a quick Google search discovered there was another business using the name My Private Provence, for adult services – a clientele she absolutely did not want to attract. I wanted to keep provence in the name because it’s European, so I thought why not put my name in front of it, because it means loved (aimé) and friend (ami) in French,” she says. Knowing nothing about coffee, other than what a good cuppa tastes like, on 1 September last year, Aimee opened for business – starting everything from scratch, including making scones. “I didn’t even know how to make scones to be honest,” Aimee quips. 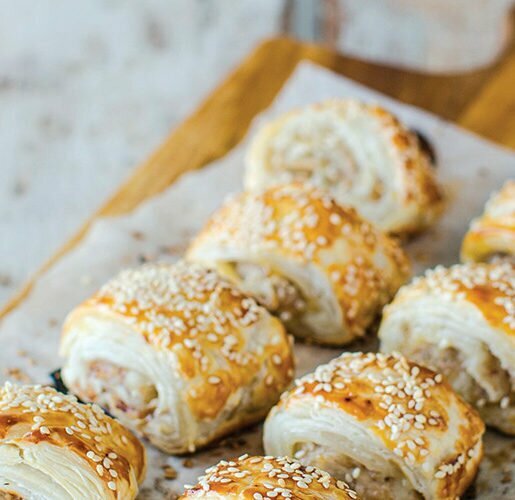 “I was ordering them in when I opened and they were like bread rolls, Mum said I need to bake my own, so I had a lesson with her over Skype. An early riser, Aimee bakes scones fresh every morning. On weekends she can make up to 180 scones each day in an assortment of flavours; plain, fruit, and my personal favourite date scones, which are the most popular. And when blackberries are in season, Aimee makes her signature batch, white chocolate and blackberry scones. But as Aimee reminds me, there is no point knowing how to bake a great scone if you don’t have lashings of clotted cream and the right jam – they will never be as good. “Clotted cream is thick cream which is baked in the oven for 12 hours on a low heat and put in the fridge for 12 hours to set and you take the top off. My mum can make it as well, but it’s time consuming,” she says. 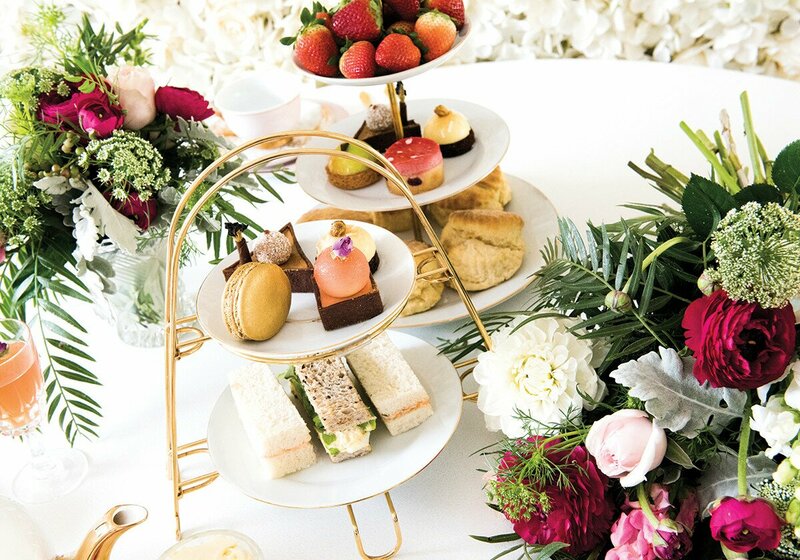 Regardless of whether a customer has booked a decadent high tea, Devonshire tea or popped in for a cuppa, the tables are always dressed beautifully, complete with fresh flowers. “I’m not an old fashioned doily-type of person, most of my themes are black and white or soft pinks, and gold is my favourite. 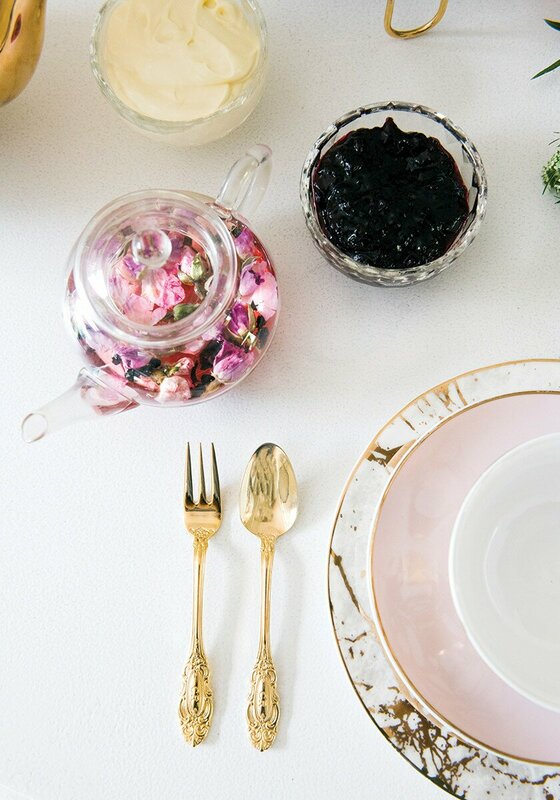 All tables are laid out with beautiful modern cups and saucers, we even have gold sugar,” she says, sprinkling the golden lustre into the palm of her hand. “We are really popular for birthdays, baby showers and bridal showers, we also hire out our premises for boutique wedding receptions and functions. I go above and beyond with the styling. 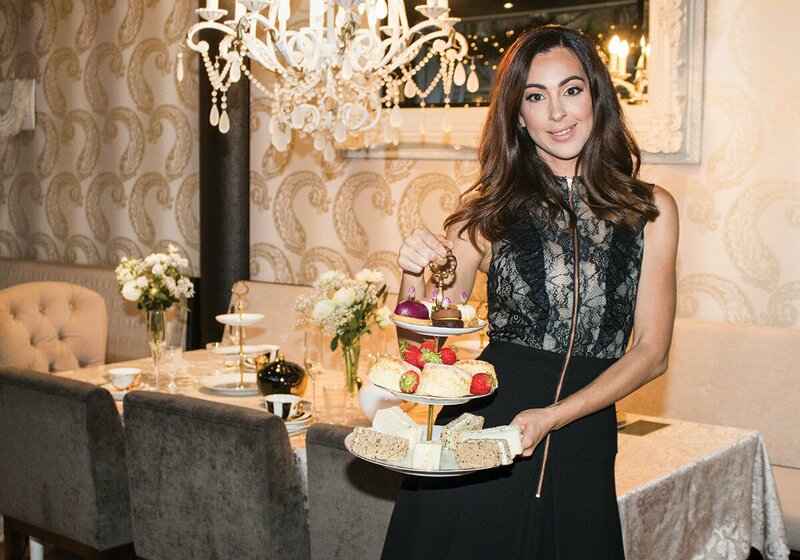 A self-proclaimed fan of a great glass of bubbles, Aimee’s is now licensed, allowing guests to order cocktails, Pimm’s and champagne with their high teas. “The cocktail menu will have some cool British names, like Mr Bean for an espresso martini,” she says. Taking a moment to soak up the past year’s success, Aimee says she owes a lot of credit to her team members Brittany Amos, who helps co-ordinate all of the high teas, and Hannah Wallace, who proudly serves one of the best coffees on Buderim using local Clandestino Roasters beans. 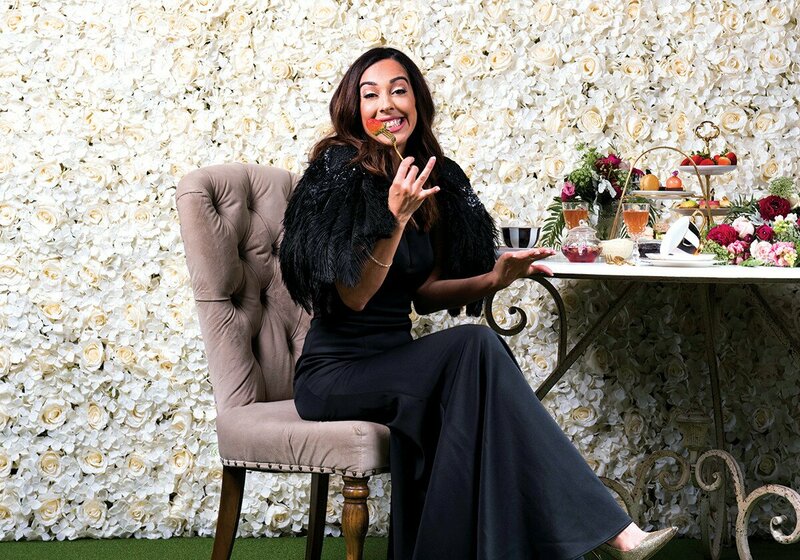 Not one to rest on her laurels, Aimee already has plans to open a second high tea parlour in Brisbane, and one day have her own manor, hosting high teas, weddings and functions, with the ability to operate as a boutique bed and breakfast. Talk about an insatiable appetite for success.